Institute for Clinical Social Work, Chicago, IL (Doctorate of Philosophy in clinical social work/psychoanalytically informed psychotherapy) 2000. The Catholic University of America, Washington DC (Master of Social Work) 1986. "...that rare combination of gifted therapist and teacher who possess profound wisdom, deep compassion, and brilliant skill. He is one of the best clinicians we've had the privilege to know...He is a gift to us and hopefully will be to you, too." -Drs. John & Julie Gottman. I am a Certified Gottman Relationship Therapist and a Master Trainer for the Seattle-based Gottman Institute. I also hold a doctoral degree in clinical social work, which involved extensive training in the theory and practice of psychoanalytically-informed psychotherapy. In addition, I have completed training in collaborative couples therapy and emotion focused couples therapy. My background helps me meet couples “where they are” and to deeply understand their complexities. Depending on their needs and goals, I strive to help partners enhance, improve, or repair their relationships. In my practice I combine the evidenced based Gottman Method with contemporary psychoanalytic theories to provide couples with a very rich therapeutic experience. This approach enhances good relationships and helps ailing ones. It involves helping partners to more deeply understand and empathize with each other’s emotions, needs, longings, and contexts. More depth of understanding between partners helps them to improve their sense of friendship, emotional intimacy and romance; to live better with those differences that are inherent in all relationships; and to live more meaningful lives together. I also help partners to recover from betrayals and affairs. More than 50% of my practice involves working with couples. I also provide psychotherapy to individuals and groups. For the past 11 years, I have co-presented “The Art & Science of Love: A Weekend Workshop for Couples” (ASL). 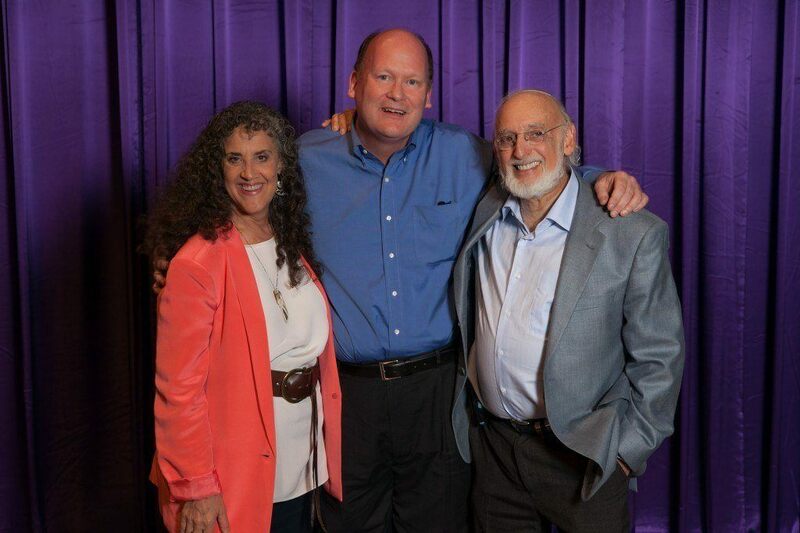 I have seen hundreds of couples benefit from learning about Dr. John Gottman’s critically acclaimed research and the principles he and Dr. Julie Gottman found make relationship work. Partners find the information, exercises, and techniques so helpful, and, often, life-changing. I am always inspired by them, and amazed by the progress they make as we work together. I regularly teach courses and workshops to students and professionals. Doing so helps me remain aware of the latest trends in the field, and challenges me to reflect on my work as a therapist. I like the idea of “giving back.” I love facilitating group discussions, particularly when all involved feel comfortable applying the presented theories and approaches to their work. I strive to create a very collaborative atmosphere. I teach all levels of Gottman training for couples’ therapists. I provide consultation to therapists seeking certification in The Gottman Method. I also have taught courses in master’s and doctoral programs in clinical social work and psychology programs on The Gottman Method, couple therapy, psychological trauma, and international intervention. Since 2008, I have taught level 1 of The Gottman Method through the University of Chicago’s School of Social Service Administration’s (SSA) Professional Development Program. I am in the process of developing a graduate level course on The Gottman Method for SSA, which I will begin teaching in Spring of 2019. Before I ever became a couples therapist, I worked as an individual and group therapist with survivors of childhood trauma. The clients I served tended to bring up very intense emotions and painful experiences in individual and group therapy sessions. I became very adept at sitting with people in difficult conflicts, and helping them to understand themselves and one another. I also helped them to work through conflicts that arose in group therapy. These experiences led me to become a very strong couples therapist, who is able to empathize deeply with both partners, help them more effectively communicate their feelings and concerns, and better understand one another. I help partners dialogue about problems between them that are having a negative impact on their relationship, and to find better compromises. I also help partners process or debrief and repair from painful arguments or misunderstandings. I believe that productive dialogues, better compromises, and recovery from fights and misunderstandings are much more possible than most partners tend to realize. I have always been inspired by my professors or consultants who attempt to meet their clients where they are and relate deeply to them. I am also inspired by such teachers who, in their work, emphasize the inherent goodness in all human beings, emphasize strengths, and help them find hope and resilience as they progress towards their goals. One such person is Fr. Paul Satkunanyagam, SJ, a counseling psychologist who I have collaborated with for a number of years training counselors in Sri Lanka. The people he serves live in one of the most chronically traumatized areas of the world. They have faced war, natural disaster, and severe poverty. Even under such circumstances, he consistently remains present to them and the counselors he leads and inspires. He does so in a respectful, humanistic, compassionate, and empathetic manner. He works creatively with all involved to help them to heal and progress beyond the emotional impact of the trauma they have faced. His work is absolutely amazing. Dr. McNulty with the Gottmans. In addition, I greatly admire Dr. John and Dr. Julie Gottman’s work with couples. Dr. John Gottman has an acclaimed, phenomenal ability to observe couples and identify patterns and behaviors that are the source of their distress. He remains approachable as he gives simple, clear, yet profound feedback to partners that helps them understand the nature of their struggles and what they need to do to make their relationships work. Dr. Julie Gottman is also an outstanding diagnostician with a very unique capacity for empathy. She is attuned to her clients at all times, as she gently guides partners through the work they need to do to repair. This quality and her ability to work with language, metaphors, and healing images always inspires me. My goal is to help partners better manage conflicts, misunderstandings, and arguments between them to form stronger bonds. My clients are very diverse. I work with couples from a wide variety of ethnic and cultural backgrounds. I have worked with straight and LGBTQ couples. As I have traveled a great deal and worked in different countries and cultures than my own, I am very sensitive to diversity. As a person and a therapist, I genuinely find very likable qualities in every individual I meet in life. I help couples with a variety of issues that center on the challenges that go with the various stages of relationships including marriage prep, adjustment to marriage, parenthood, the empty nest, and retirement. I also work with couples when one or both partners have been affected by post traumatic stress disorder; other psychological disorders, such as depression, anxiety, bipolar disorder; or attention deficit disorder and specific learning disabilities. I have an extensive background in treating couples who are recovering from emotional or physical affairs. Sometimes partners wonder if the fact that I have a kind manner will make it hard for me to facilitate the difficult discussions they need to have. When we have those discussions, they are usually amazed at my ability to remain present and empathetic to both partners, even in the midst of intense conflict. My style as a therapist aims to be both strikingly warm, gentle, and sensitive, but also assertive and structuring when indicated. 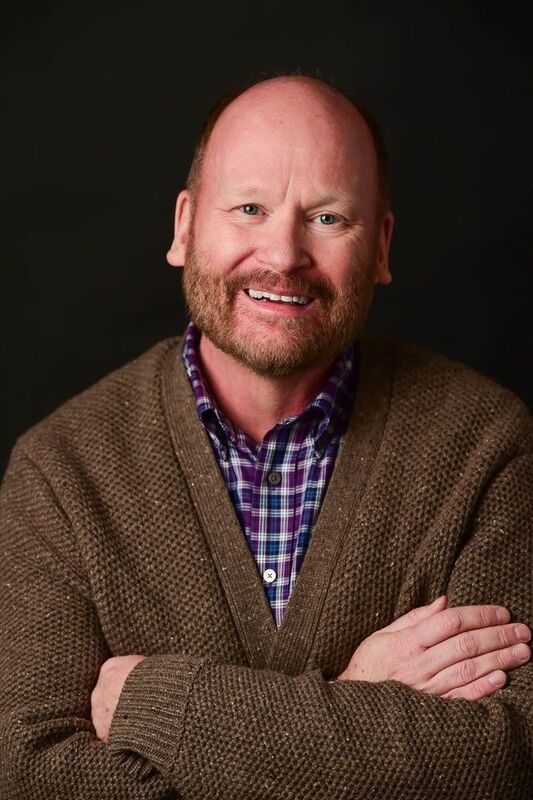 Last, but not least, I greatly admire Dr. Dan Wile, creator of Collaborative Couples Therapy. He developed and uses a brilliant technique called doubling, which is based on a technique from psychodrama. He steps into the shoes of both partners when they are really struggling to understand one another. He speaks for each partner with a profound sense of empathy, that helps them to understand themselves and one another. His method furthers the dialogue between partners when they feel most stuck. He ultimately helps them to acquire the tools and capacities to further their dialogues on their own. Like my mentors who inspire me, I strive to be present to my clients and couples under all circumstances and help them find ways to heal from the pain within them and between themselves and others. My clients deserve a clinician that is present in this manner. I have made 22, two week visits to Sri Lanka to teach lay counselors’ basic counseling skills since the Boxing Day Tsunami of 2005. I dedicate a lot of time and energy to my work there and have a great deal of passion for intervention to assist people who live in developing countries affected by war and disaster. I have received 5 Fulbright Senior Specialist grants to support my work in Sri Lanka. In my free time, I enjoying catching up and spending time with family and friends. I love to take walks and hike, watch movies, and discover great places to dine. I travel and explore different parts of the world as much as I can, including Ireland, which is the land of my ancestors. Prior to being a therapist, I performed in community theater, and sang at churches and in a variety of other venues. As my career has progressed, I have had less time to do so. My favorite role was playing the scarecrow in “The Wizard of Oz.” I love the message behind that show: we all have the strengths within us that we think we lack. Sometimes, they are our most notable strengths. I probably most enjoyed singing harmony in a very small group of people with much more talent than I, which performed at benefits, we sang all kinds of music. I loved being challenged to improve. I loved singing the music of Rogers & Hart, the duo that preceded Rogers & Hammerstein. Their songs are a bit more jazzy, soulful, and obscure than the latter team’s, with very clever lyrics. I enjoyed singing harmony the most, because it can augment the overall sound in such a powerful way. I love to write, mostly on topics that have to do with relationships. I am usually told I am a warm and friendly person who connects well with others. I have a low key manner with good sense of humor that helps people feel comfortable connecting with me. In my personal and professional life, I am often the one who is able to help others talk about the “elephant in the room” that no one is talking about, but needs discussion. I practice couples therapy in Evanston and Highland Park, IL. My Evanston office is in the business district, two blocks away from Northwestern University and about 5 blocks from Lake Michigan and a beautiful lakefront path. It is also in the middle of numerous restaurants and shops, close to a number of hotels, a theater complex, and a few music venues (there are major concerts held between June and August each year.) My office is very comfortable and low key. It’s an interesting town that is more like a beautiful little city, with diversity, culture and character, and is very welcoming. "Our relationship was on the rocks. After a second incident of cheating, we wanted to find out if we could mend our relationship, stop avoiding conflict, and learn to let each other in. What hesitation did you have about starting couples therapy with us? Honestly, the expense. It's a lot of money to put into something that you're not sure will work and to meet with someone you've never met. What changes resulted in your marriage/relationship from your work with Couples Therapy Inc.? I think it was really beneficial for us to just clear the air and talk about all the things we had been avoiding. Dr. McNulty is very skilled and he was able to pick things out that we needed to talk about that we weren't even really aware of. He also made sure to spend a good deal of time taking us through skill building segments that would help us in the future, and that we've continued to focus on using after we got home. Since we got home our communication has been much better and we've been feeling much more affectionate towards each other. I finally feel like we've figured some things out! Had you considered or tried couples therapy before? If so, how successful or unsuccessfully was it? Yes. For a few years we had been trying couple's counseling with a few different counselors. We had (have...) real avoidance issues and we haven't ever found a counselor who could see through the facade and force us to talk about things we needed to talk about. We really liked Dr. McNulty a lot. He was easy to talk to, listened very well, and was able to see through to our issues quickly. I particularly appreciated his skill in talking 'for us' - helping to translate feelings and positions that we were having trouble articulating. I also feel grateful for his skill and interest in working with my spouse and his profession - he was able to see what issues might arise as a result of his job and how it would affect our relationship. My spouse was able to have a great individual session with Dr. McNulty due to this and his knowledge about the profession really was able to impact our weekend in a helpful way. I think that this was the first time that we both felt like couples counseling really had the impact we wanted it to, and we both feel very hopeful for our future now. What three benefits resulted from working with Couples therapy Inc? I would say that the long days were really great - draining, but great. We spent a few hours talking just about one particular issue - something we could have never done in traditional counseling. The second benefit was knowing we were going to see Dr. McNulty, and knowing that this was his area of expertise. We felt more confident knowing that we'd get some real help after researching him online. The third benefit was that this was the first weekend in a long time that we had taken away from our house and our pets and gotten away together. Even though the days were long and draining, going out to eat together afterwards and walking around Evanston was fun and recharging, and we were able to do it together. Thank you! We really benefited from the weekend and we are glad we did it.